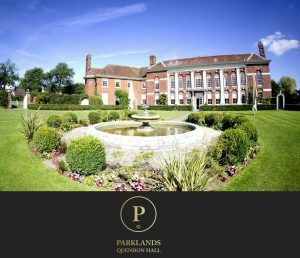 Seated in acres of picturesque Essex countryside, Parklands, Quendon Hall makes an elegant and exclusive setting for wedding celebrations and civil ceremonies. 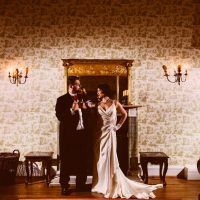 The 17th Century Mansion house and surrounding grounds are steeped in history and provide a stunning backdrop for your celebrations and photographs. Catering for up to 650 guests Parklands, Quendon Hall can accommodate small intimate gatherings right through to grand festivities. 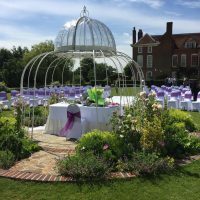 The dedicated wedding team provide support and guidance from the first meeting through to the special day and offer a wealth of experience for multicultural weddings. Ideal for modest ceremonies or reception drinks, the richly decorated drawing room caters for up to 40 guests. The open fire, subtle lighting and traditional furnishings enhance the intimate and warm ambience of this cosy space. Overlooking the beautifully maintained lawns, the windows bathe the room in natural light making it an ideal location for photographs. For larger events the Grand Banqueting Hall can accommodate from 30 to 120 seated guests. Alternatively, it can host up to 200 reception guests with a dance floor and entertainment stage. Neutrally decorated, the hall is lit via glittering chandeliers and provides a blank canvas to compliment your choice of decorations. Doors leading to the terrace allow guests to enjoy the stunning panorama of the fountain, gardens and parkland beyond. The largest setting is the Pavillion which is perfect for extravagant celebrations up to 650 guests. Adjoining the main house, it is beautifully dressed in silk drapes with romantic chandeliers and star lighting. The self-contained Pavilion benefits from a private bar, toilets and wall to wall glazed doors that command sensation views of the grounds and gardens. During fair weather the licensed Parklands gazebo provides a beautiful outdoor setting for up to 410 guests. 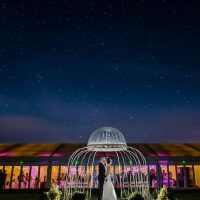 The romantic domed structure is also popularly used for wedding photography due to its charming location on the lawn and ethereal lighting. 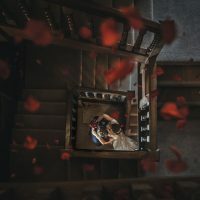 Because every couple is unique, Parklands wedding team strive to ensure each celebration reflects the character and requirements of that couple. Choose from a variety of packages including venue only hire and late availability and last minute wedding deals. Rather than doing a ‘Cinderalla’ and leaving the festivities early why not consider extending your stay in the comfortably appointed Parklands accommodation. Perfect for unwinding after the excitement of the big day, there are plenty of options to suit a range of budgets. 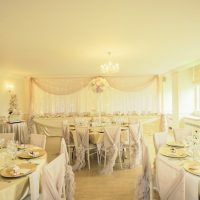 With seven en-suite rooms in the main house and fourteen other rooms situated in the three cottages around the grounds, there is plenty of room for the bridal party or friends and family. The idyllic thatched Honeymoon Cottage, with its jacuzzi and four poster bed makes a luxurious retreat.